Pictures of your rides and trips! 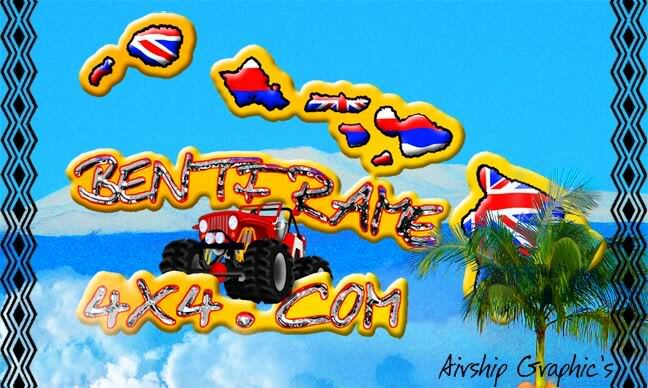 Oahu Jeepers Customkennels.com Come visit the BentFrame4X4 store on CafePress! Welcome to our new forum from ProBoards.com! Working on a wheeler post up here! Anyone can post up here, so beware of links. 10 103 more power for chevy 3+3? Talk to make Henry proud! 12 192 Even older guys truck! 6 71 side kick manual hubs? 1 3 Ford approved torsion tool? No offensive pics, nature thrashing, or secret spot naming pictures. Wanna give something away? Do it here! 1 Staff, 2 Members, 73 Guests.